A small number of autonomous vehicles are planned to resume on-road testing in Pittsburgh, once approved by the state. 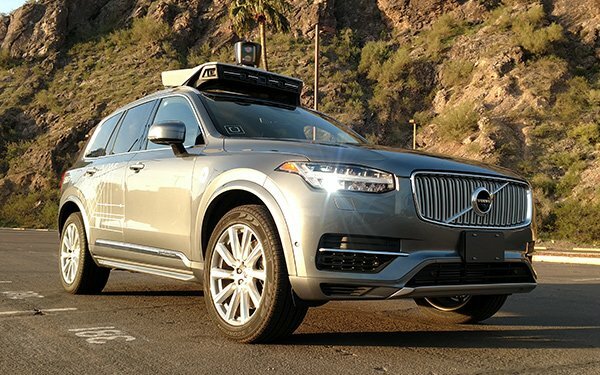 Uber halted its public trials following a traffic fatality involving an Uber self-driving car running in fully autonomous mode in Arizona. Since that time, Uber and Volvo have integrated the emergency braking system technologies of Uber and those in the Volvo vehicles used in the trials. Companies involved in developing autonomous vehicles are becoming keenly aware of potential safety issues, in addition to the public perceptions of them. For example, Ford recently created a self-driving safety report suggesting that the central challenge in developing self-driving cars is not the technology but rather the trust in safety, reliability and experience enabled by the technology. It delivered the report, titled “A Matter of Trust,” to the U.S. Department of Transportation. Alphabet’s Waymo was recently reported to have added safety drivers into its self-driving vehicles trials in Arizona. Uber also created a set of guidelines in a lengthy document titled “A Principled Approach to Safety,” which includes an entire section on track verification testing. More than 70 individual tests in the verification process have to be passed before getting on the road. Uber closed its self-driving truck business in July to center its autonomous development efforts on cars, as we wrote about here at the time ("Uber Shutters Self-Driving Truck Business"). There’s plenty going on in and around the world autonomous vehicles. In August, Toyota teamed with Uber to jointly create autonomous vehicles to be used by Uber’s ride-sharing service, including an investment of $500 million in Uber by Toyota. Softbank recently invested more than $2 billion in GM Cruise Holdings, which is driving GMs autonomous vehicles efforts, and Apple received a permit from the California Department of Motor Vehicles to test autonomous vehicles. 2 comments about "Uber Self-Driving Cars Readied For Downsized Road Trials". R MARK REASBECK from www.USAonly.US , December 6, 2018 at 8:06 p.m. Does not the rejection of electric cars give these people a clue that America loves their cars, they want to drive them, and they want gas power, especially truck people. These people also don't get the fact that they may drive 3,000,000 safe miles, and then have an accident, and they will lose many people who "might" try a self driving car. This is an eventual dead end for these tech junkies. BTW, how much does the Ghost Buster car helmet on top of the VolVo cost ? yep, crickets. Chuck Martin from Chuck Martin replied, December 7, 2018 at 8:05 p.m.
Will not be cheap, Mark.